Clearly they were too cool for each other. I wonder how people who are so cool / close end up with other people. 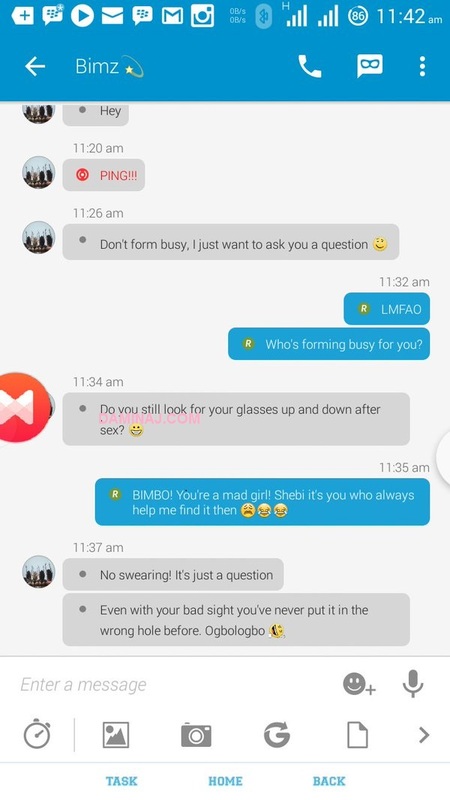 So this lady Bimz (I guess bimbo), reached out to her ex and the conversation that followed is straight up hilarious. 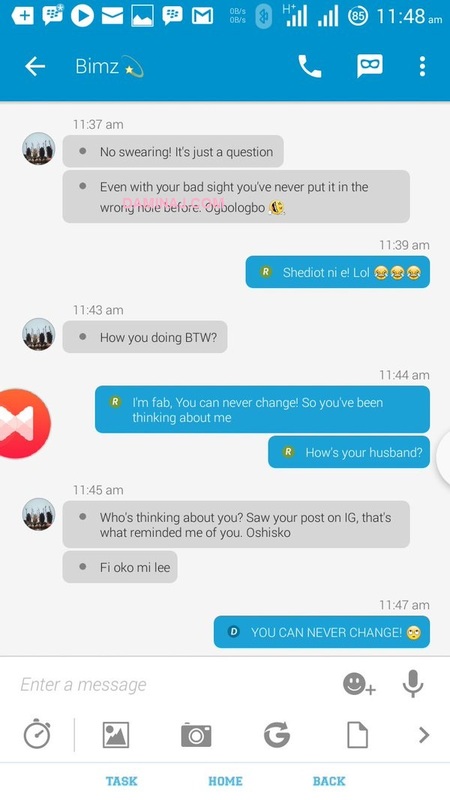 See the other part of the conversation after the page break.